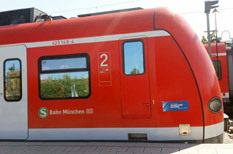 Our hotel is located very quiet at the end of Schillerstrasse in the University hospital quarter. To the main shopping mall, train station or Oktoberfest ground it's a 5 to 10 minutes walk and even to Marienplatz with the carillon in the city hall, the world famous Hofbräuhaus it's not further than a quarter of an hour. 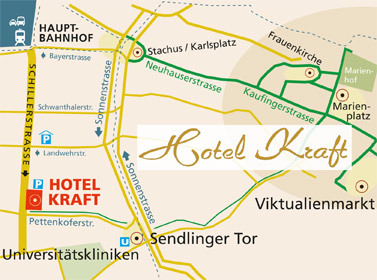 The city center map (click for enlargement and printing) shows, how comfourtable the hotel is located.